“It’s Not a 24 Hours, 7 Days a Week Thing” — Enjoy Life! Oh Really? 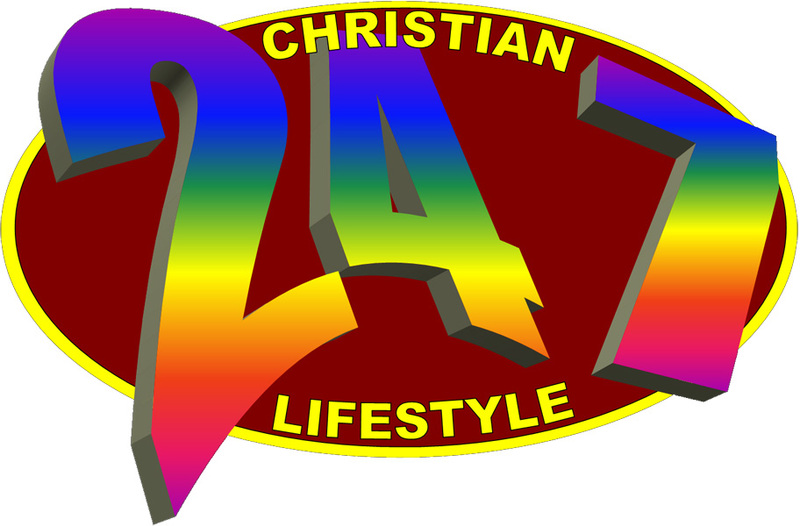 Is Christianity a 24 hours a day, 7 days a week thing? There’s a bunch of guys and gals that I meet with at a local shop to talk and watch whatever we find interesting on television — the news, football this time of year on the weekends, etc. Very often the discussion comes around to spiritual matters, or “bible talk” as some of our friends call it. It’s a great time and lots of God’s Word flies around the room, so to speak, reaching many. Yesterday, one of our friends mentioned he went to church that morning and someone asked what went on. He explained the pastor was going through the book of Acts and he had a great time. All well so far. What more can I say than that. Wow! Someone chimed in and explained that I did word studies to get a better understanding of what particular words in God’s Word meant so that I might gain a deeper understanding of the Scriptures. But that individual kept on claiming we can’t know everything anyway, and that we should just enjoy life. I pressed in a bit, without being too overbearing, to see if that person really wanted to know what God’s Word said, but he kept on with his ‘we don’t need to go that far’ attitude so I dropped it, but I’d like to pick up that thought here and comment on it more fully. My question to that person and everyone who feels as he does, “Is that all there is?” We go to church, leave, and enjoy life. Is that our ‘religions duty.’ Is that what God expects and wants us to do? I think not. First of all, life is 24 hours a day, 7 days a week. Life is an all-the-time thing, if you want to use that terminology. You can’t take a break from life unless you stop breathing, but then you have to wait until the resurrection to resume it. Second, life is spiritual. There’s an unseen spiritual world all around us that consists of angels, and fallen angels which God calls “demons” or “unclean spirits.” Believe me, they aren’t in part-time involvement with life either. They work 24-7 and they are more committed than any human I’ve ever met. So how does a human being, even one with the spirit of God within, live a part-time spiritual life? The way I see it, doing so is a recipe for disaster. This kind of attitude brings several scriptures to mind, just off the top of my head. The context of this verse reveals that someone told Jesus he would follow him, but he first had to do something he considered very important. By this world’s standards, what he had to do was very important, but Jesus corrected him and taught him in his reply that the Kingdom of God is more important than anything in this world. Maybe I’m misinterpreting what the gentlemen was implying by stating “this isn’t a 24-7 thing, we’re meant to enjoy life” but I see no other way to interpret it. Jesus wants us to leave all and follow him. Even family is not as important as answering the call. That’s because God sees things from a different perspective than we do. He sees things from His spiritual world view and knows that everything in this present life we humans experience is temporal and short-lived. In contrast, the Kingdom of God is never-ending and is therefore much more important than anything in this temporal world. II Timothy 4:10 For Demas hath forsaken me, having loved this present world, and is departed unto Thessalonica; Crescens to Galatia, Titus unto Dalmatia. The apostle Paul was hindered by people refusing to answer the call of God fully. Demas was helping him out, doing the work of the ministry, but ‘drew back’ because he loved the present world more than doing the things of God. Perhaps my friend at the shop can draw a parallel between Demas and his thinking. Colossians 4:2-6 Be instant in prayer: watching in it with thanksgiving. That I may make it manifest as I ought to speak. Walk with wisdom towards them that are without, redeeming the time. Let your speech be always in grace seasoned with salt: that you may know how you ought to answer every man. When you read these scriptures in Colossians, do you get the idea that Christian ministry is not a 24 hour, 7 day a week “thing?” The picture this passage presents is someone full-on with the things of God. Praying, watching, redeeming the time. Not getting so involved with people “without” (unbelievers) that they distract us from the ministry God has given us. Do you see that too? God’s Word is what we base our entire ministry on. If we wrongly interpret what God’s Word teaches, we are wasting our time and leading people astray. Jesus said blind leaders of the blind are in more danger of judgement than their followers because they should know better. The reason why I spent over 10 years doing intricate word studies on words found in the Bible is so that I can be as accurate as I can be in what I teach others. The Bible is our only source of truth and it behooves us to spend as much time in it as is necessary so that we can learn what it says accurately. I think this verse from II Timothy says it plainly. to “rightly divide” the word of truth takes some study time. Living what it says is an all-the-time “thing.” Do you agree? Listen, we are either walking by the spirit or by the flesh every moment of a 24 hour day, every day of a 7 day week. There is no other alternative. There is no break and no free time. Walk by the spirit or walk by the flesh. To even think that the Christian walk is to ‘enjoy life’ is misleading. We’re warned against loving this present world because it is corrupt and is passing away, along with all those who refuse to believe the truth and walk with God. I’m sure there are several verses you can think of that each this same ideal. Here’s one more for good measure. I John 2:15 Love not the world, neither the things that are in the world. If any man loves the world, the love of the Father is not in him. Wow once again. Do you love this world? Are Christians Supposed to Enjoy This Life? I think we are supposed to enjoy life as much as possible, even in the midst of the corruption and evil in the world. We’re just not to let it distract us, use our time up and deter us from walking by the spirit and doing those things God would have us to do. It’s all a question of perspective. You can enjoy life while keeping God first in your heart, your thoughts and your actions. You can appreciate all there is to offer in this life that isn’t against the will of God as long as you keep God first and foremost in all you are and do. The Christian walk is a full-time occupation. A spiritual mind-set is not something you turn off and on at will. Sure you can, but you will inhibit your own spiritual growth in the process. As I mentioned to the person who felt that studying Bible words wasn’t important, life is spiritual and whatever you think and do, that’s where your heart is. Now I understand that not everyone will study the individual words in God’s Word as I did for so many years, and not all are called to do that. I’m a teacher of God’s Word and I’m responsible for what I teach so it is of utmost importance that I don’t become a ‘blind leader of the blind.” I will be held accountable for what I teach others. Regardless, every Christian is called to the truth. Here’s one Scripture that says so plainly. I Timothy 2:4 [God} Who will have all men to be saved, and to come unto the knowledge of the truth. I’m not your judge and I don’t expect you to be like me. Everybody is different, everybody has a different walk with our Lord Jesus Christ. But this one thing I do know. Christianity is a full-time, all-life endeavor, just as life itself is. God doesn’t want part of you — He wants all of you. Life is fraught with distractions, trials and tribulations. 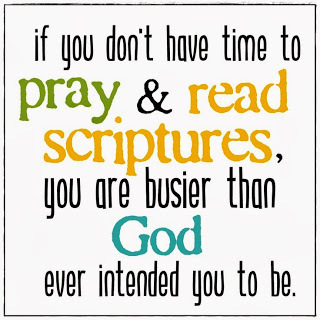 To live a truly Christian lifestyle requires a full time effort. We need to pay full attention to everything that’s going on if we are to ‘walk by the spirit and not by the flesh.’ God wants you tuned in to him all day long and will give you better sleep if you do so. God wants all of you, not part of you.